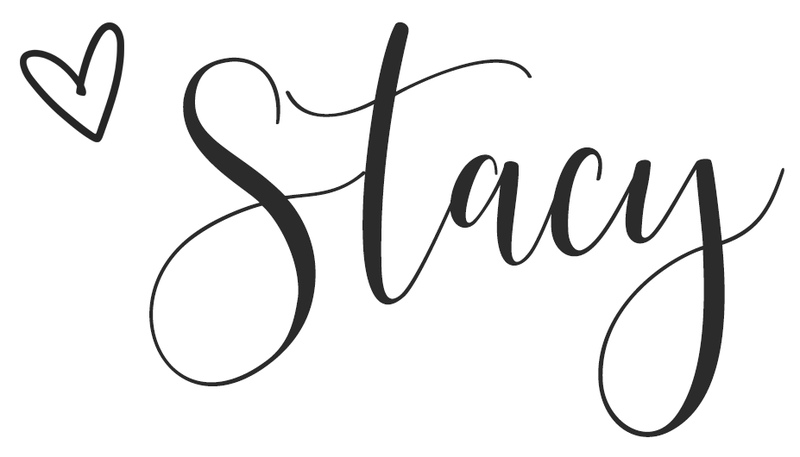 Styled by Stacy: Sequin Booties, Three Ways! Have you ever found an article of clothing or a fun accessory you just had to have regardless of how practical it was? That was me when I purchased my Halogen Sequin Pointy Toe Booties. I fell in love at first site and I had to have them. When I shared them on my insta-stories a few weeks back I got so many messages on how cute they were but when/ where was I ever going to wear them? My answer...anytime and anywhere I want! All it takes is a little confidence and you can wear whatever your heart desires. When it comes to shoes, I love to make a statement with my footwear anytime I able. On today's blog I'm sharing another piece three ways featuring my sequin booties! First let me say, I understand they are sequin shoes and to most consumers they assume you have to wear a boot like this for a specific party or an event. I'm here to tell you you can wear them in your everyday style too. When styling this shoe I approached it like any other colored shoe I have in my closet. 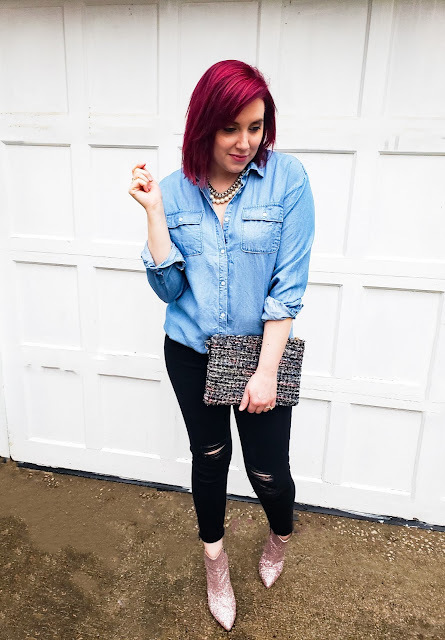 I have a pair of red flats that I love incorporating into my look in the spring and I used those and how I style them as my inspo when styling my booties. 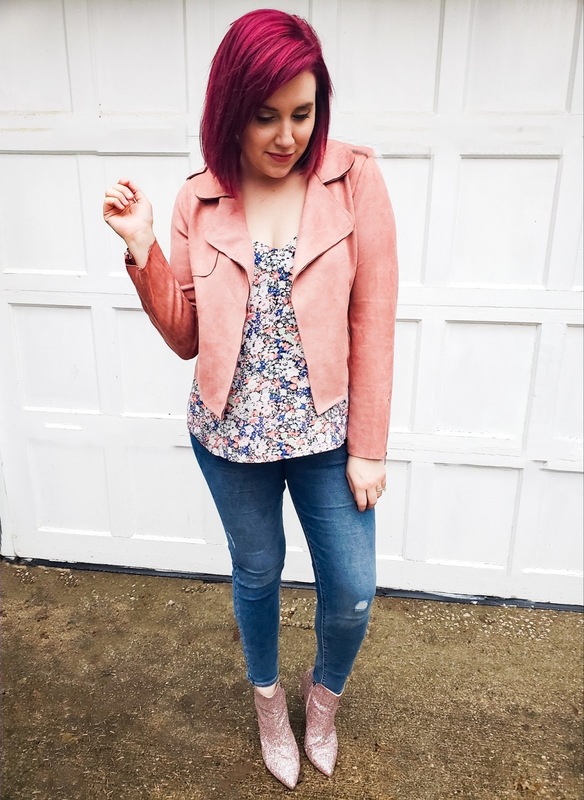 I hope my three looks inspire you to not only try something new in your wardrobe but, also get you excited for sequins as I am! Giving you some last minute inspiration for whatever you have planned for Vday! I know I said you can wear these booties wherever. I also said it didn't have to be a special event but I had to pair them with my new favorite pink moto and I’m sorry but this look screams Vday style! 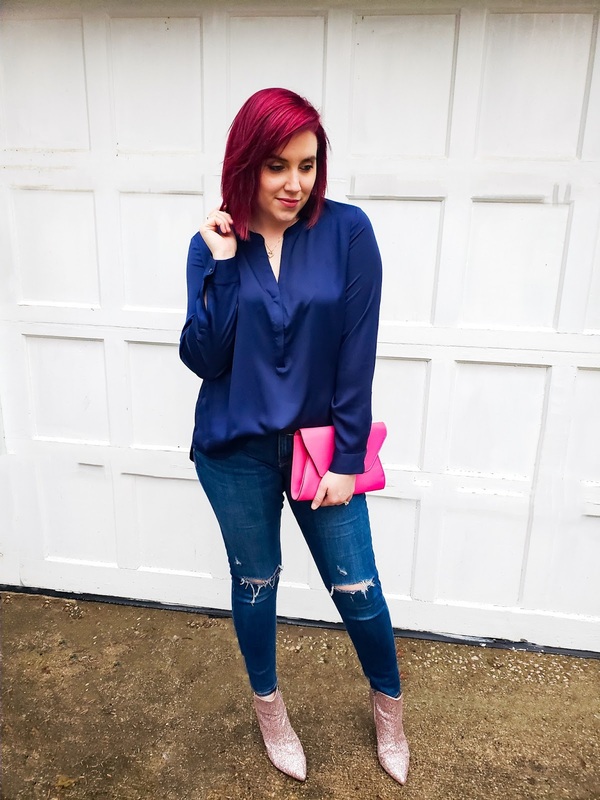 I love pairing navy with pink, especially for this easy date night look. I've also paired these boots with a basic navy ruffle sleeve tee for a fun everyday look. 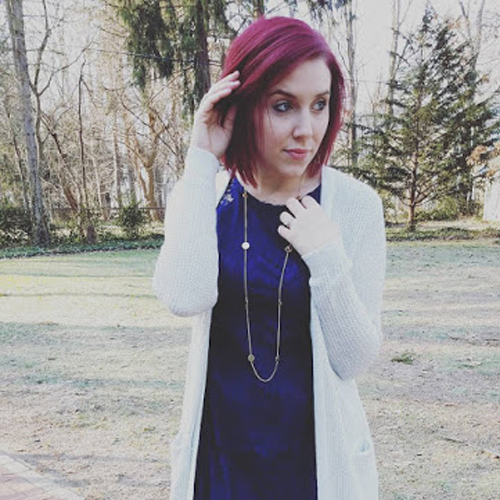 Whatever style you decide to wear on top, navy is the way to go! Nothing says effortless chic then a pair of black skinnies and my favorite chambray. I kicked this classic look up a notch by adding the booties. This look is so classic you can literally wear this on a Target run! 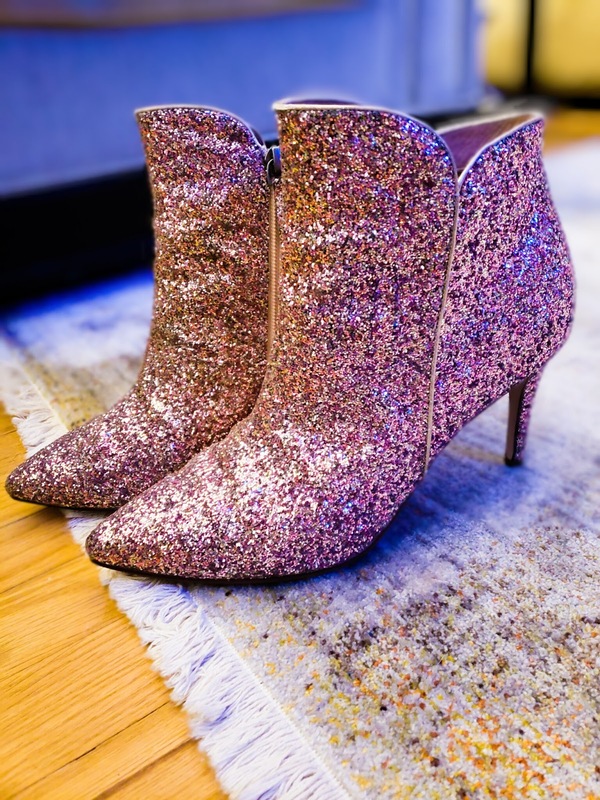 *Sequin Booties found at Nordstrom and are currently sold out. I've searched for a similar look with no success but I will keep you updated if I find a similar pair in the future. But sequin booties or not don't be afraid to try something new when it comes to your wardrobe and if your ever unsure how to style a piece please free to message me, I'm always willing to help! Love the 3 looks! The up close photo of them is lovely.